Book of the Week Book of the Week: A Pick by Forrest Soper Forrest Soper selects A Thousand Crossings by Sally Mann as Book of the Week. 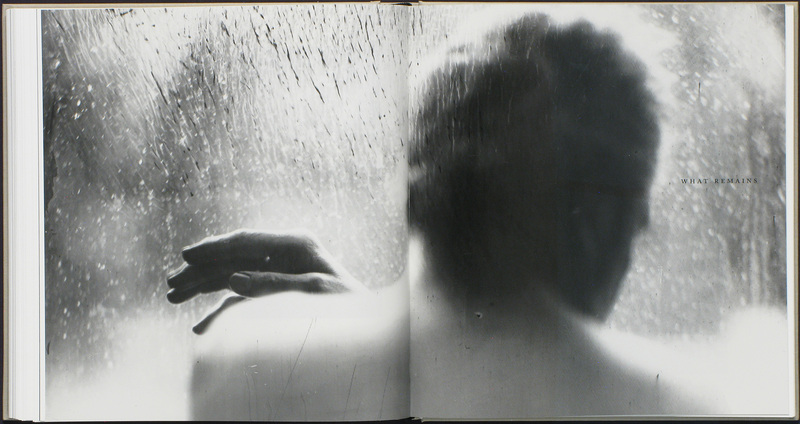 A Thousand Crossings By Sally Mann. The National Gallery of Art and the Peabody Essex Museum, 2018. 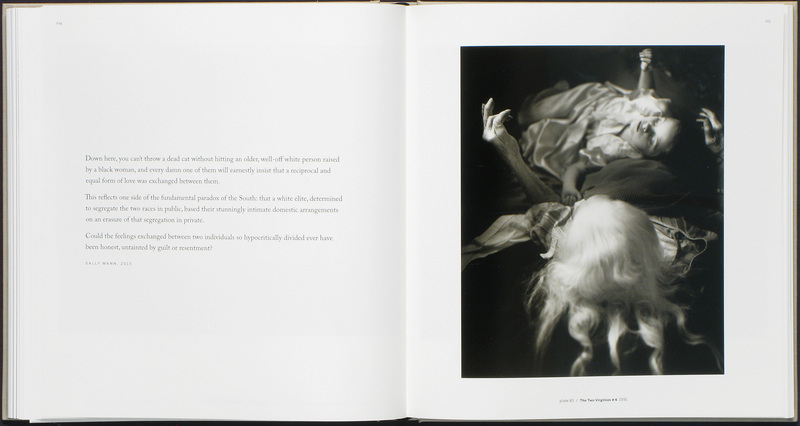 Forrest Soper selects A Thousand Crossings by Sally Mann from the National Gallery of Art and the Peabody Essex Museum in association with Abrams as Book of the Week. 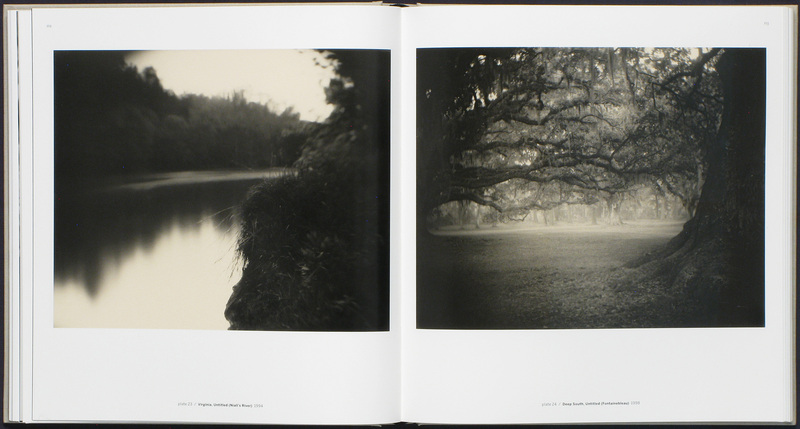 "Using the mythos of the American South as an overarching motif, A Thousand Crossings, the latest publication by Sally Mann, paints a poetic overview of Mann’s photographic work. Created alongside a career-spanning exhibition of the same name, the book grants new insight into the life and work of one of the most notable photographers alive today. Separated into five sections — Family, The Land, Last Measure, Abide With Me, and What Remains — A Thousand Crossings highlights many of Mann’s most famous images alongside numerous previously unpublished photographs. Far from being an exhaustive catalog raisonné, A Thousand Crossings is more akin to a lyrical examination of Mann’s artistic vision as it evolved. 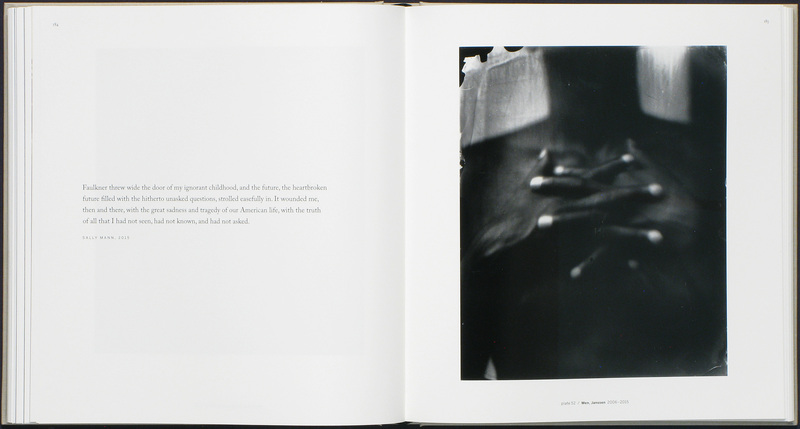 Each photographic section is separated with critical academic essays detailing Mann’s place in photographic history, as texts by Mann and other notable authors such as Faulkner, O’Connor, and Baldwin propel the poetic evolution of the book. 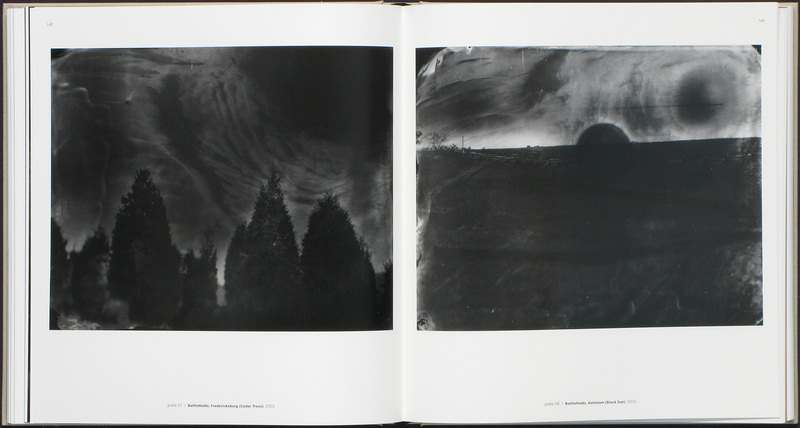 A Thousand Crossings By Sally Mann. The National Gallery of Art and the Peabody Essex Museum, 2018. Beginning with a new sequence of her famous intimate photographs of family, the book naturally evolves alongside Mann’s career, organically shifting to her landscapes of the South as her focus deviated from her immediate family to the land that she called home. 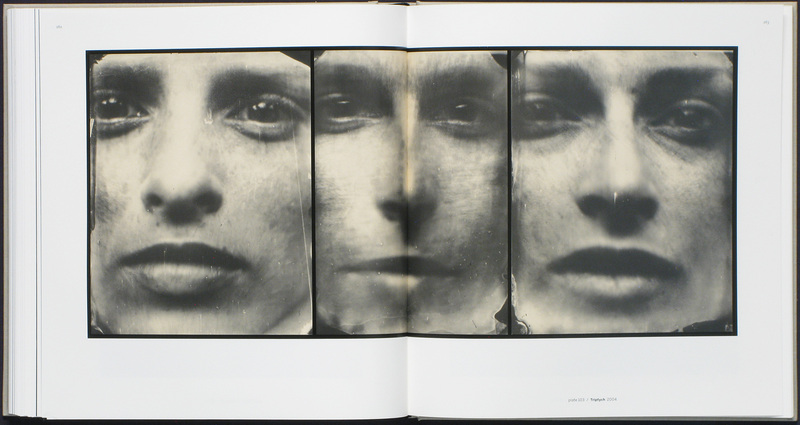 Having established herself as an accomplished silver gelatin printer, Mann turned to wetplate collodion as a medium, a historic photographic process first invented in the early1850s. Rather than attempt to perfect the medium — as her predecessors, Michael Miley, George Barnard, Alexander Gardner, and others had —Mann embraced the imperfections found in the photographic emulsion. Striving for emotional resonance over technical perfection, Mann embraced the unpredictability and abstraction that she found amongst the ether fumes. Mann would continue to use this medium as she began to explore and reconcile the dark and painful past of the South. Naturally evolving from her landscapes of the South, she shifted her attention to the more sinister chapters of southern history. Retracing the tragic history of Emmett Till, she began to explore the history behind the land that she called home. This theme was only expanded in her next section Last Measure. 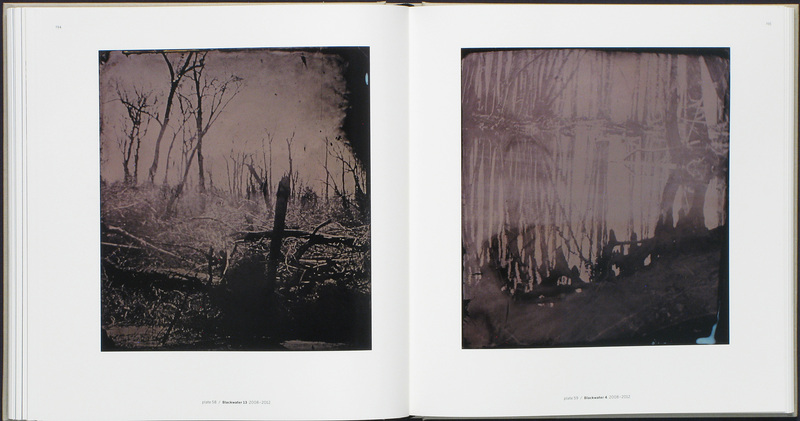 Featuring wet plate landscapes of Civil War battlefields such as Antietam, Manassas, and Cold Harbor, Last Measure further propelled Mann into an exploration of her heritage. No longer looking at how the land affected life, she now began to explore how death could affect the landscape — how places transformed in the mind’s eye. Dark brooding shadows and ethereal silver forms show how our perceptions of a place are transformed by our knowledge of past events. This theme was continued in Abide With Me, the section of A Thousand Crossings, which contains the largest percentage of unpublished photographs. Dealing with race, and its relationship with the South, Mann divided this chapter into four photographic series. The first, a series of re-photographed images of the Blackwater River, uses the story of Nat Turner as a means of expressing the horrors of slavery. High-contrast black-and-white images depict twisting black roots and branches intertwined with the reflections of stagnant water to create an ethereal and twisted hellscape. These brutal and jarring photographs are paired with photographs of historically black churches throughout the south. Mann documented the bright facades of these buildings as they reveal themselves amongst the surrounding foliage. Churches, historically a place of solace and support, represent freedom and safety for African Americans in an unwelcoming land. Shot predominantly on orthochromatic film, Mann paints these churches as a romantic mystery. These places are so intertwined with her own history, yet they were places that she was entirely separate from — an outsider looking in. The last two series in Abide With Me depicts Mann’s own relationships with black identity. She recalls a tale of her childhood when she gave a black boy a ride into town in her vehicle. This innocent action was met with great fear and anger from Gee-Gee, the black woman the Munger family had hired to care for Mann as a child. Fearing for the safety of both the boy and Mann, Gee-Gee knew those good intentions could lead to irreversible harm when race was involved. To an innocent child, this was hard to fully comprehend; yet now, many years later Mann has revisited this subject with wiser eyes. Mann pairs photographs of Gee-Gee with her grandchildren showing the interactions between the two. While Mann spoke nothing but love for Gee-Gee and referred to her as a maternal figure, she becomes painfully aware of a racial divide. Her children follow in her footsteps as otherwise intimate and loving photographs are tainted by racial inequality that still lingers to this day. These images are matched with contemporary photographs Mann took of young black men. Photographs that attempted to bridge the divide between the men that Man knew of, but never truly knew. It is this focus on the body that leads to the final section of the book, What Remains. Made famous by an earlier book and a documentary of the same name, this series focuses on death and of what remains after, and before death. In this new edit, Mann strays away from the body farm images, photographs of her late dog’s remains, and landscapes to focus on her wet plate images of her family — in particular photographs of her husband, Larry Mann. Taken from her Proud Flesh series, these images document the effects of muscular dystrophy on his body. Shown alongside full frame images of her children’s faces, Mann once again turns her lens to her family, a driving force in her life. 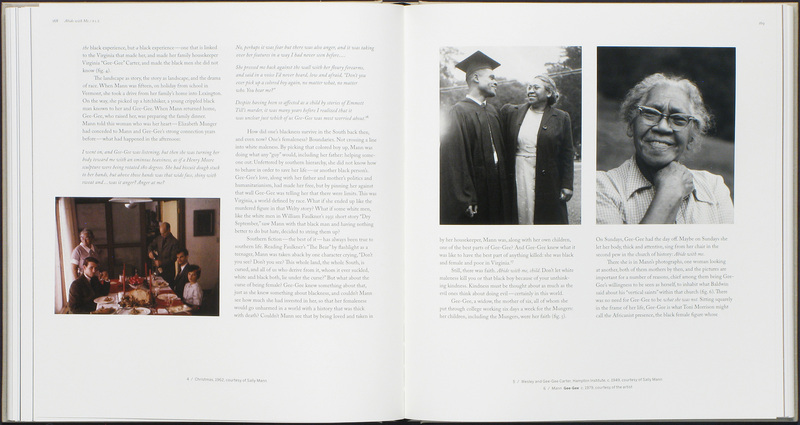 By ending her book with portraits of family, Mann has gone full circle. She paints a picture of Southern life as it evolves from birth and innocence, into revelation and reconciliation, and eventually death. A story that is scarred by darkness, but one that Mann confronts honestly and unabashedly. Like the land she was born in, Mann’s life has been filled with its fair share of tragedy and hardship, yet despite this, there is a tender intimacy that flows throughout the book. Like the poets who’s lines fill the pages of this book, A Thousand Crossings attempts to portray the intricacies and complications of life in a hauntingly beautiful manner.